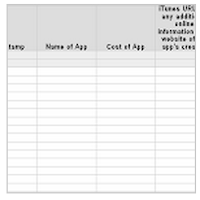 Here are two interestingly simple app evaluation rubric you can use with your students to assess the educational apps you want to use in your class. The first one is a rubric we learned through Kathy Schlock’s iPad4teaching page. 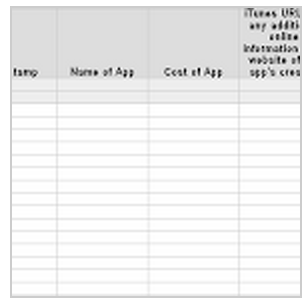 This is basically a Google sheets template available for free in Drive Template Gallery. The second one is a template we discovered through running a search query with the key phrase 'app evaluation' in Template Gallery. These are probably the only two app evaluation templates available in the Gallery so far. 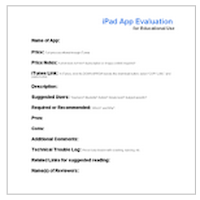 The rubric features several criteria for assessing apps. These include: the intuitivity of the app’s interface, content sharing options within the app, privacy related issues with the app’s settings, quality of multimedia, accessibility/inaccessibility of inappropriate content through the app, flexibility in use within the app and many more. 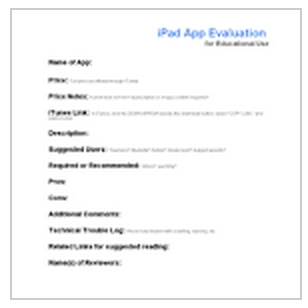 This is another handy and down-to-earth simple document to help you assess educational apps. It is particularly useful for ‘groups to try, report, recommend individual apps for student/teacher use’.